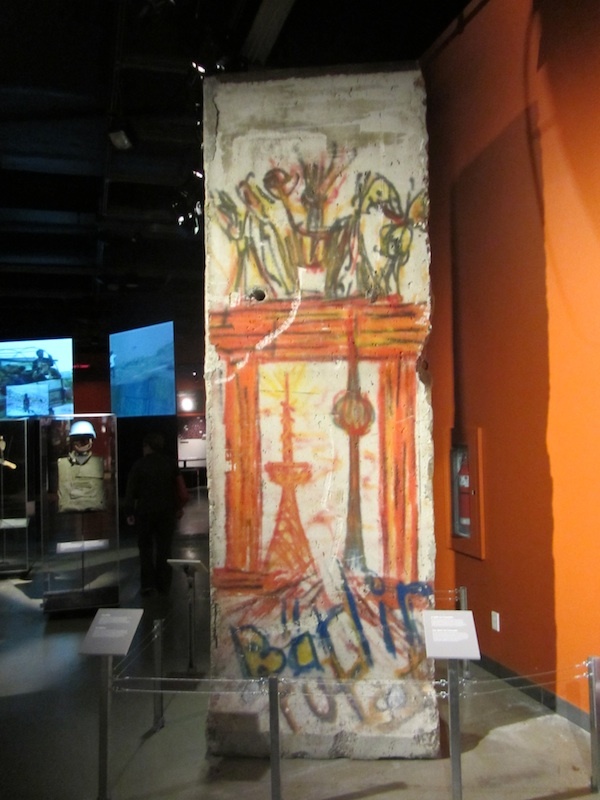 During the Cold War, almost one million Canadian soldiers served in Western Europe, primarly in Germany. 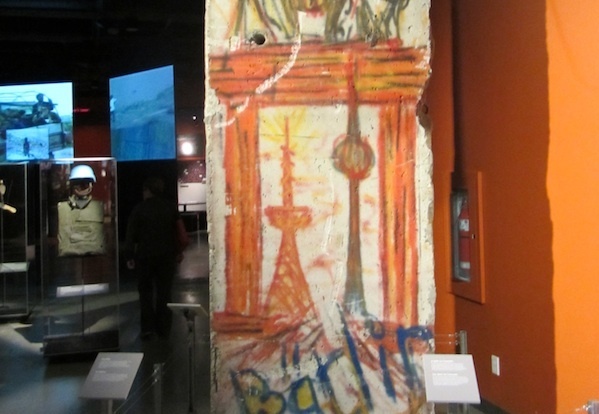 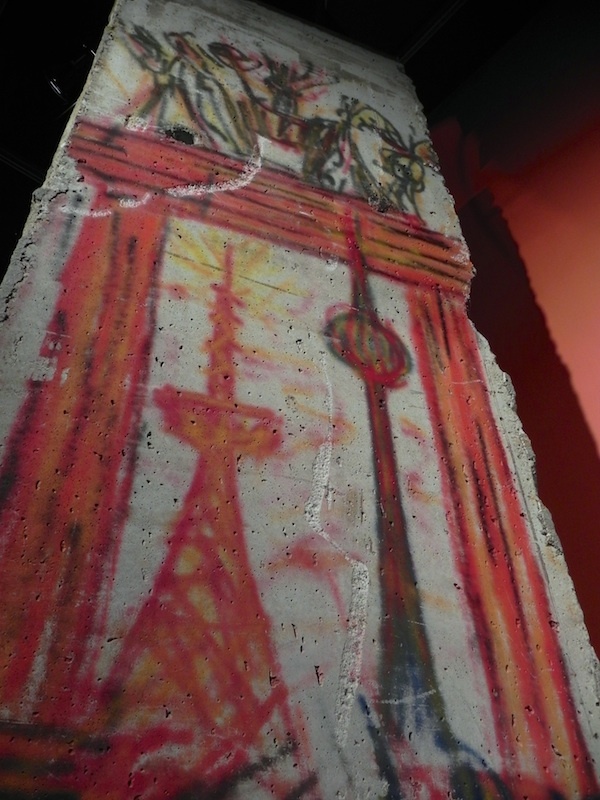 As a thank you and as a reminder of this meritorious period, in 1991 the Federal Republic of Germany donated a segment of the Berlin Wall to the Canadians. 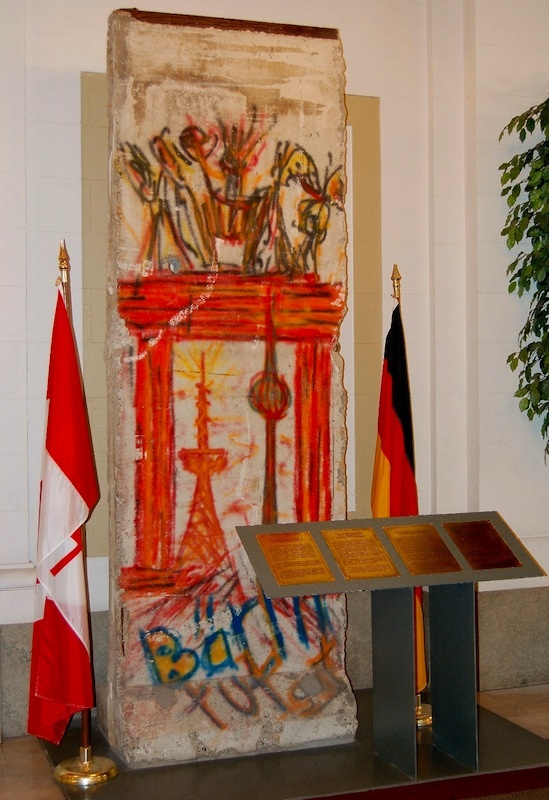 For many years this Canadian Wall segment has been in the Government Conference Centre in Ottawa. 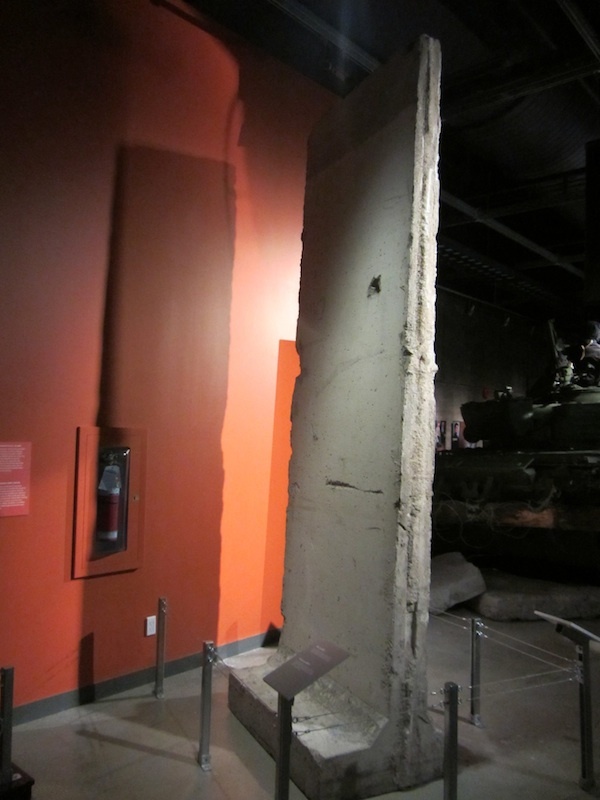 In 2009, however, the then Prime Minister Stephen Harper announced the relocation of the segment to the Canadian War Museum, where it is now on permanent exhibition.